Fall is in full swing. The leaves are doing their beautiful downward dance. Cider is on the stove. Football is in conference play, and baseball is drawing to a spectacular close. Chances are good you've picked apples or pumpkins - or both. What's not to love about this spice-infused kaleidoscopic season? The Schulte House is clearly in the spirit. Check out our apple pie, decorated with hand-carved emblems of autumn. No surface is safe from our illustrative inclinations. Picture books are a big part of each weather and holiday shift, too. 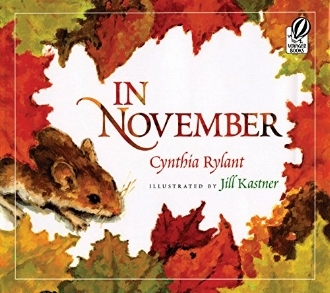 At home and at school, seasonal titles reinforce science and cultural concepts with artistry and humor, helping my children better understand their world - month by month, year by year. 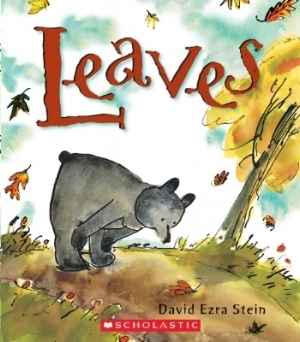 Literary journeys can even further enhance the way we experience the seasons, particularly when titles tap into the senses and deliver a special aesthetic. 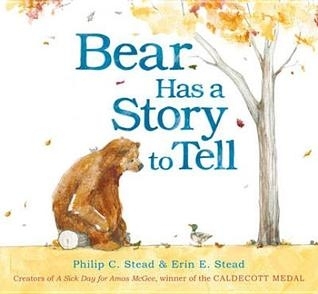 Twitter pal and children's book author Savannah Hendricks shares my passion for picture books and is visiting the blog this month to suggest five great picture books for fall. So divert your eyes from the Christmas decorations in your local grocery and craft stores, and take a few moments to enjoy Savannah's roundup of titles that honor this blink-and-you'll-miss-it season. Quotes below all attributed to Savannah (SH). Savannah Hendricks is the author of the picture book NONNIE AND I, set in Botswana. She has more than 20 magazine publication credits to her name. Savannah writes for all ages and reads stories aloud to her dog for approval. You can find out more at her blog The Seashells of Life. Thanks so much Savannah! You can follow Savannah on Instagram at @authorsavannahhendricks and Twitter at @AuthorSavannah.